Place Studio worked to deliver the community involvement for the Thame Neighbourhood Plan as part of a team led by Tibbalds Planning and Urban Design. Thame Town Council, a Neighbourhood Plan ‘front runner’, appointed the team to work with the Town Council to prodcue one of the first Neighbourhood Plans in England. 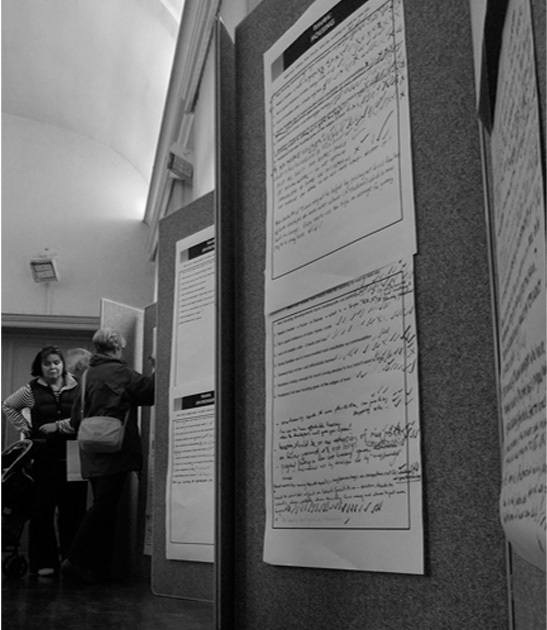 Our work to design, manage and part-deliver the community involvement together with Tibbalds and the Town Council, on this Neighbourhood Plan – the first in the country to deal with large scale allocations – was highlighted by the Examiner as ‘exemplary’: “I am entirely satisfied that the Plan not only meets its statutory obligations, but exceeds the standard requirements to such an extent that it provides an exemplary approach to public consultation in neighbourhood planning”. In July 2013 the Tibbalds team won a Royal Town Planning Institute national award for innovative use of the planning process. The most important marker of it’s success however was marked by the positive outcome of the referendum held on 2 May 2013, where over 76% of those who voted were in favour of the plan – a testament to comprehensive consultation approach and the hard work of both the team and the client.